Larry Pirollo marched confidently up to the betting window at the brand-new Race & Sports Book in Borgata Hotel Casino & Spa on the morning of June 14, looking like he had made the same walk hundreds of times before. In fact, he was one of the first people to ever make a legal sports wager in Atlantic City, on the heels of a bill signed by Gov. Phil Murphy just three days earlier. Pirollo, perhaps caught up in the festive atmosphere, proceeded to break the No. 1 rule in sports gambling. He bet with his heart. The Ventnor native and diehard Philadelphia Eagles fan followed in the footsteps of basketball legend Julius “Dr. J” Erving—who just minutes earlier had made the ceremonial opening sports wager at Borgata—by betting on the Birds to repeat as Super Bowl champions. It will take about six months for both Erving and Pirollo to see if their bets even have a chance at paying off. But on this monumental day for Atlantic City, that was almost beside the point. “I wanted to be part of history,” Pirollo says. “I love betting on sports and when I saw this was coming, my eyes were on it. I think it will be a good thing for Atlantic City. With the new casinos—the Ocean Resort and the Hard Rock—coming in, and now this, there is just so much momentum. Political leaders and casino officials share the same optimism. Only time will tell if sports gaming can have the desired effect on Atlantic City and other parts of South Jersey. When the United States Supreme Court issued a landmark decision on May 14 striking down the Professional and Amateur Sports Protection Act (PASPA), it marked a major victory for New Jersey. PASPA, enacted in 1992, had prohibited sports gambling in most states, with Nevada being the only one to offer the full gamut of sports wagering. New Jersey had been challenging the act since 2011, spending millions in taxpayer dollars in the process. The Supreme Court decision made the lengthy legal battle worth it in the end, according to Assemblyman John Burzichelli, because the wishes of the state’s residents were fulfilled. “The bottom line is, the people of New Jersey voted by public referendum overwhelmingly to change the [state] constitution, making sports gaming legal,” Burzichelli says. “It had to start there, because in the early days of the lawsuit the courts looked at us and said, ‘Wait a second, your constitution prohibits [sports gambling]; you can’t even do that.’ So that public referendum where voters chose to change the constitution is where this really gained traction. Following the Supreme Court ruling, the state moved quickly. Both the Assembly and Senate unanimously passed legislation on sports gambling on June 7, and Gov. Murphy signed Assembly Bill 4111 into law on June 11. It is no secret that Atlantic City has endured a period of upheaval in the last decade, with multiple casinos closing amid increasing competition from gambling in other venues and states. As the town continues to seek ways to reinvent itself, hope abounds with the openings in late June of Ocean Resort Casino at the former Revel site and Hard Rock Hotel & Casino in the former Trump Taj Mahal space. The addition of sports gambling is seen as just another boost to Atlantic City. Borgata was the first casino in Atlantic City to offer sports gambling, joining Monmouth Park Racetrack as the first two sites in the state, and it benefited from two factors. First of all, it already had an existing racebook for off track horse betting, making the transition to add sports wagering in the same site a smooth one. Secondly, its parent company, MGM Resorts International, has been running a sportsbook in Las Vegas for years and will oversee operations in Atlantic City, with the same odd-makers. Marcus Glover, Borgata’s president and CEO, believes the most significant result of sports gambling for the casino will be an increase of visitors to the restaurants, shops and spa that Borgata offers. Borgata’s Race & Sports Book is equipped with four massive television screens for viewing of live athletic events, 100 seats, a bar and 10 betting windows. But the space is just temporary for sports gambling. Plans are already in place for a more ambitious sportsbook that Glover feels will bring in non-sports fans as well. “We’re thinking about our development a little bit differently than traditional sports wagering operations,” he says. “If you go to Las Vegas and go to a sportsbook, 300 days of the year they’re empty. If there isn’t premium sports content on, the places are empty. What we want to do is create a space that can live and breathe 365 days out of the year. So when there’s not premium content, it’s still a cool destination where people want to hang out. As far as Atlantic City’s two newest casinos, Ocean Resort partnered with London-based bookmaker William Hill to run its sportsbook and had a temporary site set up on opening day, with plans for a 7,500-square-foot space in the works. Hard Rock did not offer sports gambling upon its opening but may down the line. 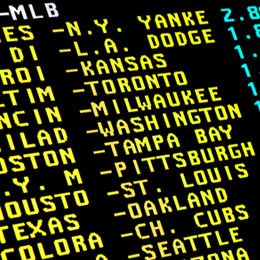 Other casinos have vowed to open sportsbooks in the near future, possibly before the NFL season begins in September. Atlantic City Mayor Frank Gilliam believes sports gambling is another sign that his town is able to adapt to the times. “That’s what Atlantic City is,” he says. “We have constantly had rebirths. We’ve seen some down times, but we really are going to see more energy from sports betting. Two more casinos [recently opened] and it’s just a great time to be here. While live sports gambling at casinos will surely be a draw for many visitors to Atlantic City, most residents of Burlington, Camden and Gloucester counties will likely place the majority of their legal sports bets through the online component. Unless, of course, they don’t have to drive all the way to A.C. to bet on a game. The new law allows for sportsbooks at racetracks and a select group of former racetracks, such as Garden State Park in Cherry Hill, which held its last horse race in 2001. With Pennsylvania also expected to approve sports gambling, officials did not want gamblers in South Jersey hopping over to Philadelphia to place bets. “That was all by design,” Burzichelli says. “Our intention was to have a physical place to help stem outflow into Pennsylvania, just like we have a physical location at the Meadowlands Racetrack that helps prevent outflow into New York, because New York will have legal sports betting soon, as will Pennsylvania. Under the provision, a sports gambling facility can only be constructed on or within the racing oval of the former track. In Cherry Hill, the developed store-fronts of Towne Place at Garden State Park are now located on or within the oval, but there is space for a sports betting facility if the Towne Place owners choose to pursue one. Rumors persist that a sportsbook could be opened in the vacant space next to Zinburger, but township officials stress that the owners have only applied for a permit for a sports bar and restaurant. The owners of Towne Place at Garden State Park did not respond to interview requests. Cherry Hill Mayor Chuck Cahn, however, believes sports gambling will be here in the very near future. “Zinburger would be on the oval itself,” he says. “Adjacent to Zinburger is an open retail store. … [I believe the developers] hope to have a restaurant, maybe a consumption alcohol license, [and] there are TVs. There’s everything that you have in a sportsbook in that location. Cahn sees pros and cons to sports gambling coming to Cherry Hill. “I think it’s one of those mixed blessings,” he says. 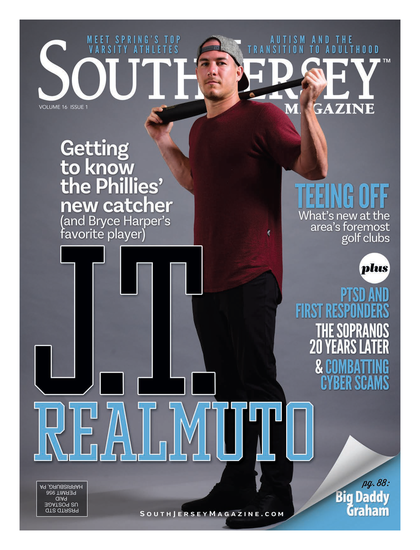 “It’s positive in the sense that it brings attention to Cherry Hill. I’d rather have people coming to Cherry Hill than leaving Cherry Hill. I don’t want people going to Philadelphia. And if it brings business to other retailers in the area and other restaurants in the area, that’s all very positive. “On the flip side of it, my concern is additional traffic in an area that’s already congested. I’m also not sure [about] the type of people who will be sports betting so there could be additional calls for service from our police department and it could be somewhat of a burden on our police department. Washington Township resident Doug Mitchell (his real name has been changed to protect his privacy), who has been gambling on sports for 30 years, welcomes a sportsbook in South Jersey. Mitchell adds, however, that he would only head to Cherry Hill, or Atlantic City for that matter, for special occasions. He will continue to place his sports bets through an offshore betting website that is tied to an illegal bookie in Philadelphia. “All the site does is keep your totals and allow you to keep putting bets in. At the end of the week, if you’re up $500 or down $500, you’re still going to meet up with the bookie in Philadelphia,” he says. Another aspect that is often overshadowed by the thrill of sports betting is the possibility of New Jersey residents developing gambling addictions. Neva Pryor is the executive director for the Council of Compulsive Gambling in New Jersey, headquartered in Hamilton. She sees the negative effects gambling can have on a regular basis. Pryor emphasizes that she is neither for nor against gambling. But she is concerned about the legalization of sports betting in New Jersey. “There are multiple problems,” she says. “First of all, it’s very accessible. Once the internet is tied to it, people will be able to gamble morning, noon and night. They’ll be able to gamble with their children and no one will know. A lot of people are gambling with their kids right now with daily fantasy sports. They can tell their significant other or whomever that they’re spending time with their children, and the child could eventually develop a problem. Pryor’s main focus is making sure people with a gambling problem know they can get help. By calling 800-GAM-BLER, they can be directed to a Gamblers Anonymous meeting in their area or even set up an appointment with a treatment provider for little or no cost. She remains hopeful that sports gambling can have a positive impact without hurting the citizens of New Jersey. “I’ve been working with the Division of Gaming Enforcement to try to figure out how much money we’re going to be getting from the licenses so we can increase our public awareness, our treatment and our staffing. This stuff isn’t cheap,” she says.